"I think we should talk to Federico about joining the show." With that, my podcasting career – and life – got a lot better. This was the spring of 2013. Myke Hurley and I were packing our bags at Myke's original podcast network, heading over to 5by5. 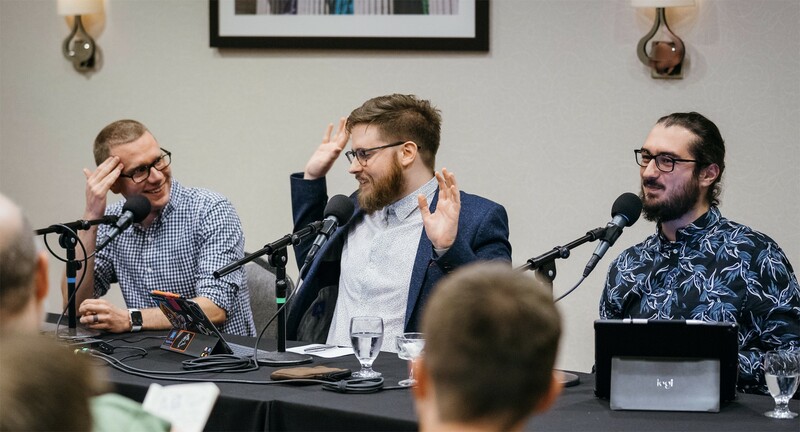 He and I had been publishing a weekly Apple show named "The 512 Podcast," but we wanted to do something bigger and better, and Myke had the idea to wrangle Federico into things. Agenda. An elegant new take on notes. When I started reading MacStories, the site had already shifted its focus from the Mac to the iPad – and that's what drew me in. I've been an Apple admirer for as long as I can remember, but in my younger years the company's products were simply outside my budget. It wasn't until the age of 18 that I owned my first Apple device, an iPod, which was followed a couple years later by a second-hand MacBook. In both of these cases, it was the surprisingly short lifespans of my previous non-Apple MP3 player and laptop that led me to finally splurge and pay the Apple premium. I quickly discovered that, for me at least, it was well worth it. Despite loving my iPod and MacBook, I didn't start diving deeper into the Apple ecosystem until after the iPad's release in 2010. At that point the iPhone had been around for a few years, but in frugality I had stuck with a cheap flip phone and evaded the smartphone era as long as I could. After the iPad, though, things quickly changed. Shortly following the launch of Apple's tablet, my boss at the time purchased that very first iPad for me, which was the gateway that led to an iPhone 4 later that year, a MacBook Pro the year after that, and many more Apple products since then. The iPad catalyzed my deepening interest in Apple, and it was the iPad that also, several years later, led to my discovery of MacStories. It's been a special week for us. 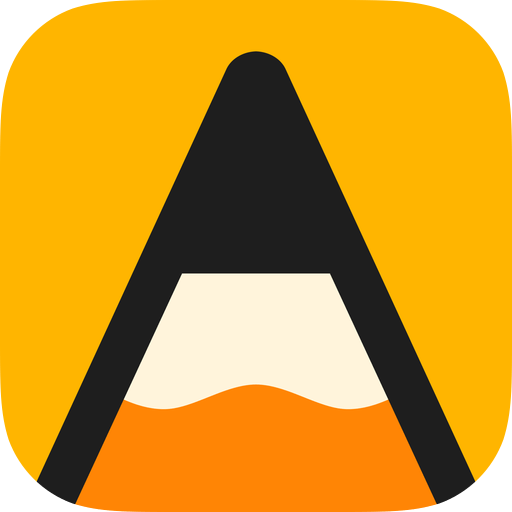 In reflecting on the first decade of MacStories, two things have stood out to me as being crucial elements' of the site's continued flourishing: an enthusiastic, supportive base of readers, and a steady stream of great apps to cover. It was those two things that led to the formation of Club MacStories, where we get to highlight even more of the best apps the App Store has to offer, for a base of readers who value getting more out of MacStories. As part of our anniversary week celebrations, we've teamed up with 1Password for a special perk for Club members: 6 free months of 1Password Families for first-time 1Password customers. Details on eligibility and how to sign up will be in this Friday's MacStories Weekly newsletter. Longtime MacStories readers will know that 1Password has consistently been one of our favorite and most trusted utilities (the app even has its own site tag). A few years back 1Password transitioned from a paid up front business model to that of subscriptions, with various plans and tiers available. 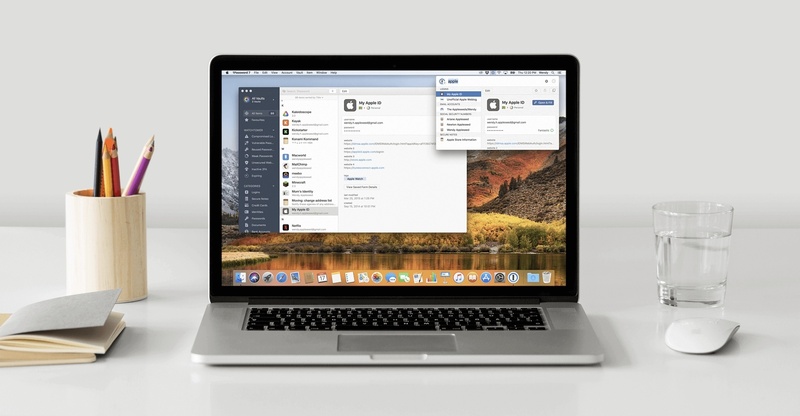 The Families plan includes full access to 1Password apps across all platforms (iOS, Mac, and even Windows, Android, and the web) for up to five family members, plus 1GB of secure document storage for the family. We're grateful that the team at 1Password has made this special offer available. If you're not a Club MacStories member, you can join the Club today to score this special offer on Friday, as well as gain instant access to our members-only MacStories Unplugged podcast, the full back catalogue of over 200 previous newsletters, and other perks. Membership is $5/month or $50/year and directly contributes to helping us continue doing what we love. With a Club MacStories subscription, you'll gain access to weekly iOS shortcuts, app recommendations, and other exclusive extras. 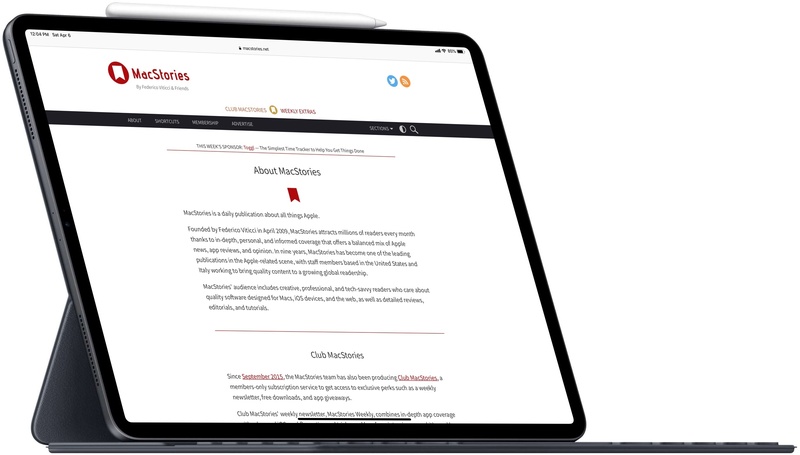 Starting at $5/month, Club MacStories includes MacStories Weekly – a newsletter delivered every Friday with a focus on iOS productivity and showcasing new and interesting iOS apps. One of MacStories Weekly's regular sections is the Workflow Corner – a weekly assortment of iPad shortcuts, iOS automation tips, and tutorials curated by Federico and the MacStories team. As a new member, you'll also receive complete access to our back catalogue of over 200 newsletters starting from September 2015. With Earth Day just around the corner, Apple has issued a press release announcing the expansion of its existing iPhone recycling program, an Apple Watch fitness challenge and more. 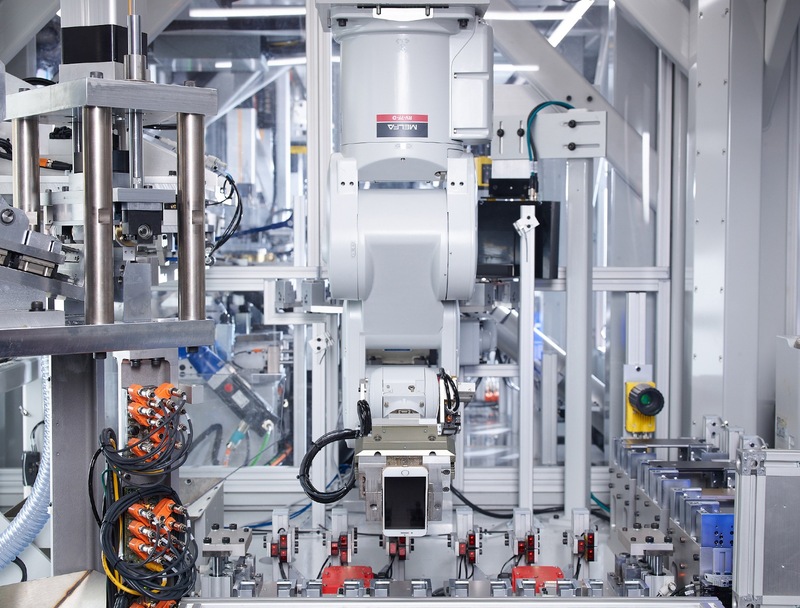 Last year for Earth Day, Apple took the wraps off of Daisy, a recycling robot that replaced Liam, an iPhone disassembly robot first introduced to the world in 2016. Daisy can take apart 15 different models of iPhones for a total of 1.2 million devices every year. The recycling process allows Apple to recover materials like cobalt from batteries, tin from logic boards, and aluminum, which is being remelted into cases for Mac minis and now, MacBook Airs. This year Apple has announced that it is expanding its recycling program to include iPhone returned to Best Buy stores in the US and KPN stores in the Netherlands. Previously, iPhones could only be returned to an Apple Store as part of the company’s Trade In program. Apple says this will quadruple the number of locations where customers can return iPhones in the US. The company also announced the opening of a 9,000 square foot Material Recovery Lab in Austin, Texas. Additional information is about Apple’s environmental efforts are available in its 2019 Environment report. Finally, Apple is celebrating Earth Day, which is next Monday, April 22nd, with an Apple Watch Earth Day Challenge. 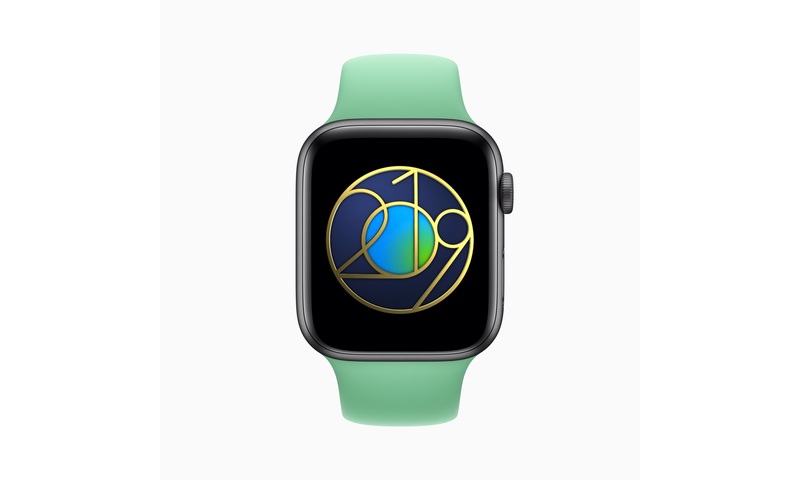 Apple Watch users who complete a 30-minute outdoor workout on April 22nd will receive a special Earth Day award and stickers for Messages. The company will also be conducting special Earth Day-themed Today at Apple sessions in its retail stores. I just finished Leander Kahney’s book about Tim Cook, which does an excellent job chronicling Apple’s environmental programs over the years, and it’s interesting to see the steady march of progress as Apple recovers more and more of the materials used to build iPhones. The addition of retailers like Best Buy to the recycling program is just as significant a step forward though because it makes those programs more accessible for the first time to iPhone owners who don’t have an Apple Store near their homes. This week, in the absence of adult supervision, Myke and Federico discuss their new favorite time zone app and consider some recent iOS 13 rumors before Ticci talks about what arrived in his mailbox. On this week's Connected, in addition to CalZones and iPad keyboards, we talk about some recent iOS 13 rumors, including something I heard about mouse support on iPad a few months ago. You can listen here. 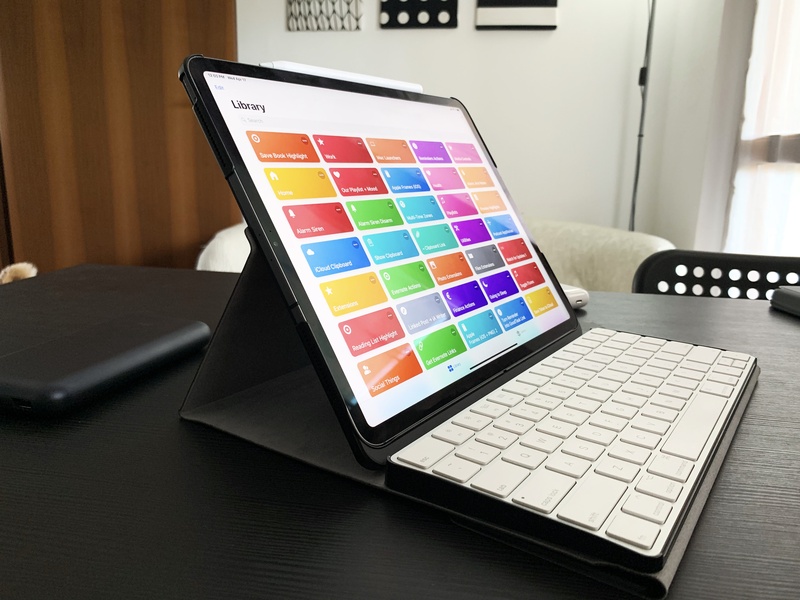 The Touchtype Pro is a clever new accessory created by Salman Sajid that aims to combine the iPad Pro with Apple's Magic Keyboard using a flexible cover case and magnets. Sajid launched a campaign for the product earlier this month on Kickstarter, where you can check out more details about pricing and the design process of the Touchtype Pro. I was lucky enough to get my hands on an early production unit before the Kickstarter went live and I've been using the Touchtype Pro with my 2018 12.9" iPad Pro for the past few weeks. After sharing some first impressions on Connected, I wanted to post a few more thoughts here, along with some photos. Ten years is a long time on the Internet. So many companies have come and gone in that time, making it worth considering what it is about MacStories that has endured. Having worked with Federico for roughly a third of that time, I can’t claim to be objective, but before I joined the team, I was a long-time reader of MacStories and a developer who pitched an app to Federico. That’s given me a perspective on MacStories that goes beyond my current role, so it will probably surprise no one that I have a few thoughts on the matter. Every fall, Federico and I put our heads together to come up with new and exciting perks for Club MacStories members to mark the Club’s anniversary. In 2017 we were less than six months into AppStories, and although we love talking about apps every week, we were frustrated that the show’s topic and length precluded us from covering a lot of what goes on at MacStories. I suggested doing a free-form, casual show as an exclusive Club members-only version of AppStories. Federico agreed and in the middle of a chaotic September, we recorded the first episode of AppStories Unplugged. 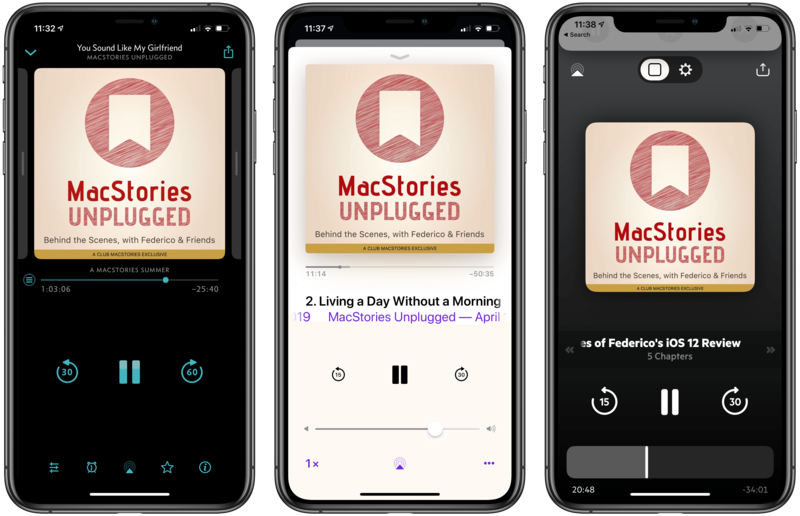 We decided to dispense with the episode length guidelines that constrain AppStories and expand coverage to include a behind-the-scenes look at what goes on at MacStories. Because listeners already knew Federico and me as a pair from AppStories, we stuck with that as part of the show’s name. We added ‘Unplugged’ because we’re big fans of acoustic music and MTV’s Unplugged series, and it felt right for a more casual, less structured version of AppStories. To date, we’ve done four episodes of AppStories Unplugged for Club members, and they’re some of my favorite episodes Federico and I have recorded because they’re so much like the conversations (and arguments) we have when we get together. As we talked about the future of Unplugged earlier this year, both Federico and I felt it was time to expand the show and do more for Club members. So, for the 10th anniversary of MacStories, we’ve decided to relaunch AppStories Unplugged as MacStories Unplugged. The idea behind the show is the same, with a few exciting additions – a remix, to stretch the music metaphor further than I probably should. The first difference is reflected in the new name. MacStories Unplugged will draw on the entire MacStories team. You probably won’t hear all of us on every episode, but with so many interesting and talented people at MacStories, we want Club members to have the chance to get to know everyone. We’ve also decided to make MacStories Unplugged a monthly show. At the time Federico and I launched AppStories Unplugged, neither of us was interested in adding another commitment to our schedules, but that has changed with the entire team involved in the show and other adjustments we’ve made. Finally, we’ve rebranded Unplugged with all-new artwork by MacStories’ own Silvia Gatta who has done an amazing job. Silvia’s rough-sketch version of the MacStories logo and typography is the perfect complement to the style of the show. What hasn’t changed is that MacStories Unplugged remains a Club MacStories exclusive. You won’t find it in iTunes or any other podcast directory. Members will receive details about how to access Unplugged in this week’s issue of MacStories Weekly, the newsletter we send them every Friday. If you haven’t considered joining the Club before, now is a great time to take a look. Each year, the MacStories team delivers roughly 60 weekly and monthly newsletters to members that are packed with app coverage, editorial content, shortcuts, tips, interviews, and a whole lot more. Members also enjoy perks throughout the year like app discounts, giveaways, a complimentary ebook version of Federico’s iOS review, and a lot more. We have another big Club announcement coming later this week and more planned throughout 2019, so check out the details and please consider joining. We’d love to have you. As a new member, you'll also receive complete access to our back catalogue of over 180 newsletters starting from September 2015. I've always struggled to find apps that understand how people work across multiple time zones. In the 10 years I've been writing MacStories, I've come across dozens of time zone conversion utilities (and I even created my own with Shortcuts), but as someone who works remotely with people all over the globe, I know there's more to time zone management than just performing a quick conversion. Perhaps you're planning a Skype call with three more people, each living in a different time zone; maybe you have to coordinate a product launch and need to know at a glance what "3 PM GMT" means for your customers in New York, San Francisco, Rome, and Sydney. 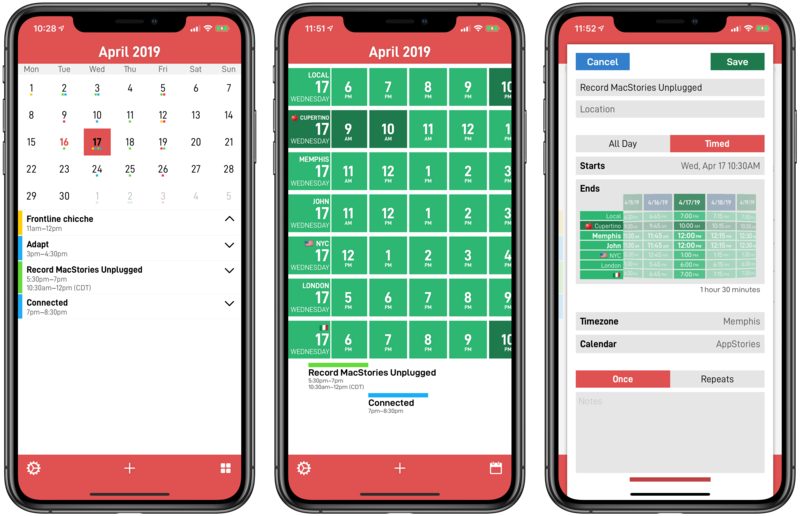 CalZones, the latest app by _David Smith, is the first iOS app I've ever used that fundamentally gets how people work and schedule events across multiple time zones. It's almost like CalZones was made specifically for me, and it's an app that speaks directly to my heart.